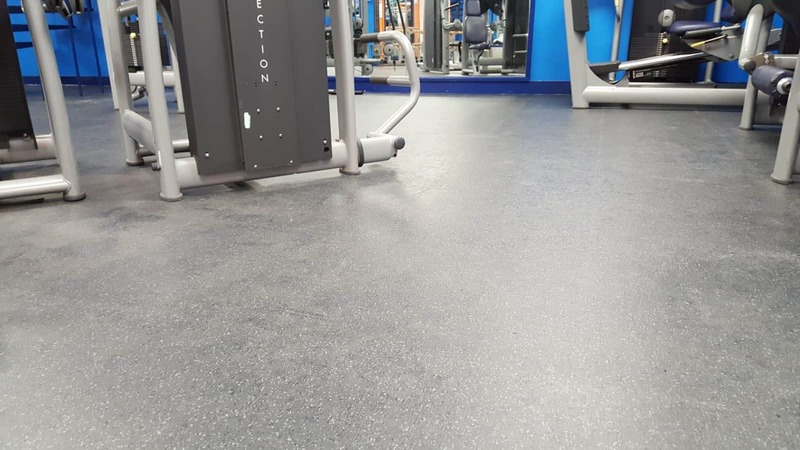 We were asked by Gerflor to quote for new gym flooring from the Gerflor range at Bingham Leisure Centre (part of Parkwood Leisure). The gym at Bingham had been converted from two old squash courts. The existing floor covering was a carpet tile which was in bad condition. 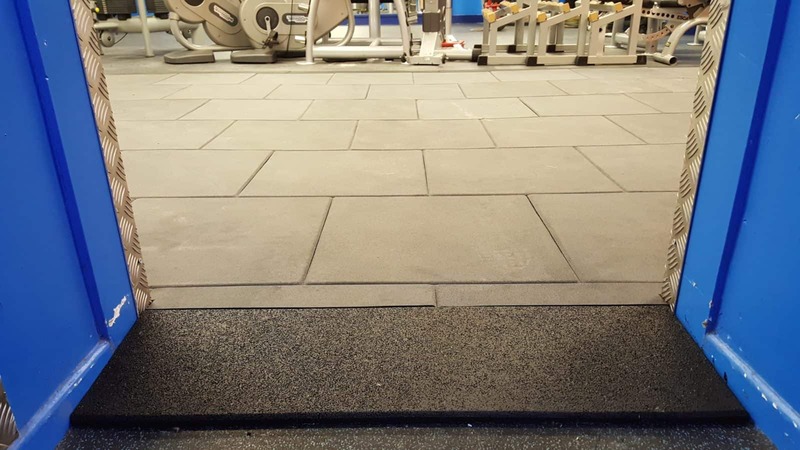 Also the free weights area had poor quality rubber tiles. The timber floor was damaged in several areas from weights being dropped. Bingham sought advice from Gerflor and ourselves. We were the asked us to come up with a specification for new flooring that best suited their needs. As the squash court timber floor was still in place under the carpet, we had to recommend a ‘floating’ floor. This was to avoid the timber swelling and eventually ‘blowing’. 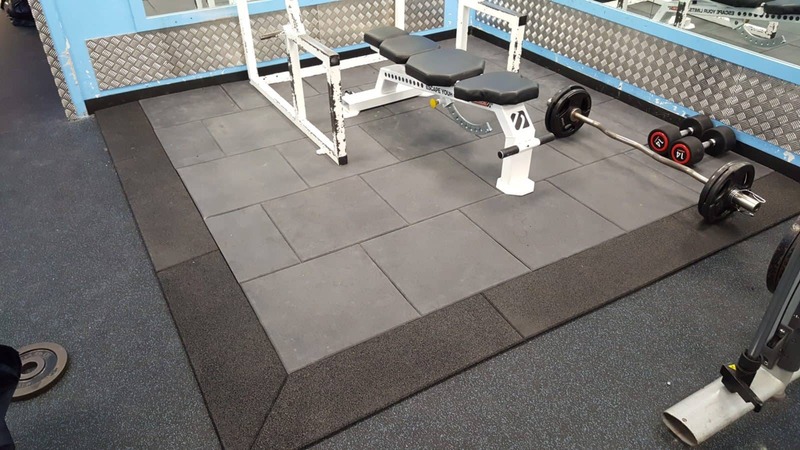 The chosen products were Gerflor GTI Max in colour ‘Ora’ for the main gym area and Gerflor Powershock 300 (30mm rubber tile in grey) for the free weights area. We also installed Powershock 300 in a smaller area in another room which was full of free weights. 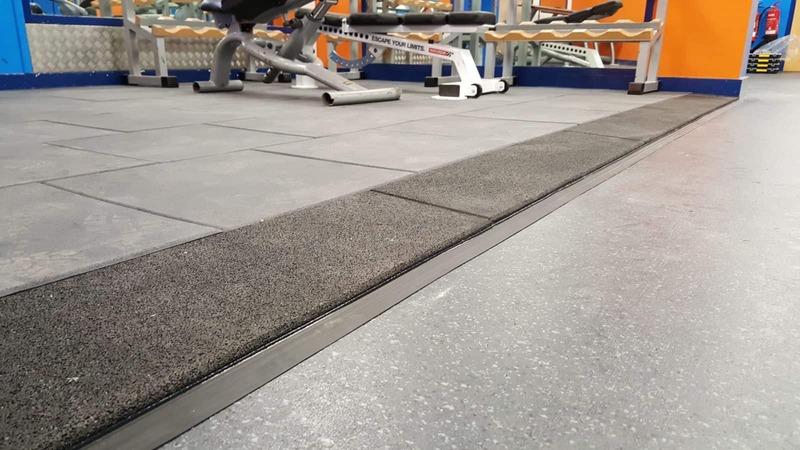 During the installation process we were required to uplift the carpet, sand and repair the timber floor and then install the products. The project took us 3 days in total.